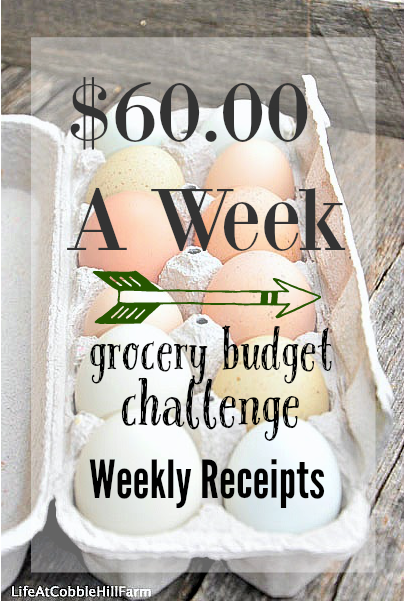 This week's food cost list is super easy........we spent no money this week! We were going to buy milk at the farmer's market but our milkman was sick and we still have some left. So all food for this week is from our stockpile.